That was a shameless headline-grabber of a post title, but I just had to tell this story because it’s so weird. I need an outlet. Since none of you happen to be standing in my vicinity near a water cooler, this venue will have to do. 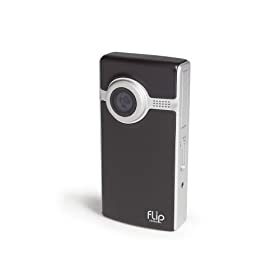 My wife and I had some Christmas gift money we wanted to use to buy a Flip Ultra Series Camcorder. It’s not the newest product, but it fit within our price range and will definitely be an upgrade over the 8mm camcorder we bought in 2000 when our daughter was born. Agreed, though it’s weird that you called me “bro.” I wouldn’t have pegged you as a “bro” kind of reader. Anyway. We know that eBay is usually a great place to get new products for a lower price than almost anywhere else. We’ve always had good experiences buying stuff off eBay, so I began to look. I found some. I participated in a few auctions. I set a limit, and stopped bidding when the price got too high. So, good news, right? I arranged to pay with PayPal and everything was supposed to be easy. That was mid-February. Two weeks later, we hadn’t received the camera or heard anything from the buyer. I sent an email through eBay. Where’s our camera? What’s the status? The reply: the seller was not able to use PayPal suddenly due to a credit card issue. Would I mind paying instead with a money order? Yes, in fact I would mind, I replied. Because money orders are less convenient. And the auction said payment would be through PayPal from the beginning, so I emailed this back: Yes, I’ll pay via money order if you’ll reduce the price to $100. For the inconvenience. The seller agreed to that — pretty reasonably, I think — and promised we’d see the camera soon. A week later, we got a box in the mail from Amazon, with that model of camera inside. No other information was included. No communication from the seller that we’d be getting it from Amazon. No message with a name and address for the money order. Nothing. Just an anonymous box on our doorstep. So I emailed again: Dear Seller — Um…this box we got from Amazon. I guess it’s from you, right? Again, no response. Two days later, we got another anonymous box from Buy.com. Same camera model inside. Again, no other information from the seller. Now we have two of the cameras, and I’m really confused. I have heard zilch from the seller. No name. No address. I’m uncomfortable opening and using the camera without having sent a money order, so we just leave them in the boxes, unopened. I’d won the camera on eBay a month earlier — but I don’t know which camera to use, or which one to return, and why did I have two cameras anyway? Seriously. For the love of the Interwebs, what’s going on here? So I send more emails asking for 1) an explanation; 2) that the seller will cover the cost to return one of the cameras; 3) for a name for the money order; 4) for an address for the money order. Two more weeks pass. I send more emails. Nothing. Good gravy. Finally, yesterday I get an email back from the seller saying, um, they mistakenly sent me two cameras. (!) Would I be willing to pay for the second camera at a discount so they wouldn’t have to deal with the inconvenience of handling the return of the second camera? That was yesterday. I heard back this morning. Here’s my address, the seller said. (Finally!) Here’s the name for the money order. (Finally!) You can pay $110 for both cameras. So to recap, I bought one camera for $106. Six weeks later, I have two of those cameras. For six weeks of annoyance, I get to buy the second camera — which has been sitting unopened in a Buy.com box in my bedroom for four weeks now — for $4. I’m gonna sell the extra camera on eBay. That’s how I got two nice video cameras for the price of one. When I sell the second one, it’ll make the first one virtually free. Follow my step-by-step advice and you can do the same, as long as you find a crazy person to buy the first camera from.